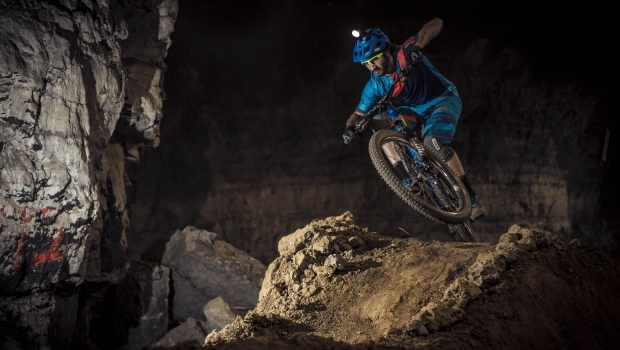 If you’ve been paying any attention to bike media, then you know all about the Mega Cavern Bike Park in Louisville, Kentucky. While footage and images have been floating around for awhile, it’s finally open. And it looks sick. At 320,000 square feet this is the largest bike park on the planet. 100 feet underground, in a retired mine, they charge $24 US for a four hour pass. And we can only guess that’s it’s money well spent. As a city that formerly had one of the biggest skateparks in the world (they just tore it down and are rebuilding it), the unlikely Louisville sure is a city that gets it. Don’t you wish your town had the foresight and the balls to build something like this? While there have been plenty of photos and videos coming out of the place, there are sure to be millions more in the coming years. So far, this edit is the best.